There were no changes in HbA1c levels during treatment with levothyroxine and no significant changes in fasting serum glucose and insulin levels after treatment were observed. 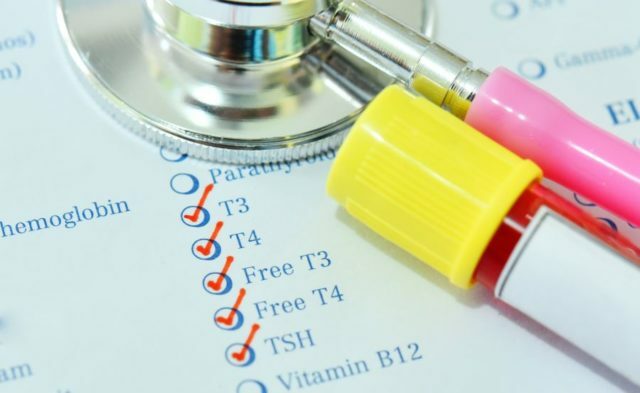 Low doses of thyroid hormone has shown efficacy in decreasing intrahepatic lipid content in individuals with type 2 diabetes mellitus and steatosis, according to a study recently published in The Journal of Clinical Endocrinology & Metabolism. This phase 2b, single-arm study included 20 men with a mean age of 47.8±7.8 years, all of whom had steatosis and type 2 diabetes. Shift in intrahepatic lipid content was the primary outcome of this research. After treatment with the thyroid hormone levothyroxine, there was a 12±26% drop in intrahepatic lipid content compared with baseline (15/20 participants, 95% CI, -3 to 0; P=.046). There were accompanying slight reductions in body mass index (P=.044), subcutaneous adipose tissue volume (P=.045), and visceral adipose tissue volume (P=.047). Changes in lipid profile and glucose regulation were not statistically significant. This study took place in 6 hospitals in Singapore, and all participants were euthyroid with a mean body mass index of 30.9±4.4 kg/m2 and baseline intrahepatic lipid content of 13±4%. Ultrasonography was used to measure steatosis. The maintenance phase of this study lasted 16 weeks and included levothyroxine titrated to a concentration of TSH 0.34 to 1.70 mIU/L. Non-alcoholic fatty liver disease was induced in rats by feeding them a methionine- and choline-deficient diet, which the researchers utilized to show concentrations of intrahepatic thyroid hormones.